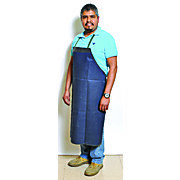 Lightweight splash protection One-piece apron 45 inches long USDA accepted Provides frontal protection in wet applications such as metal degreasing, spraying and finishing. 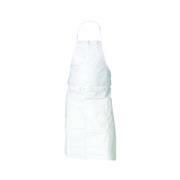 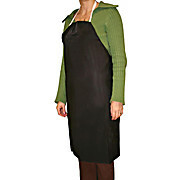 Apron resists many fats, oils, greases and chemicals. 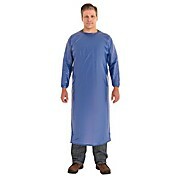 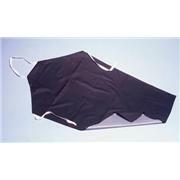 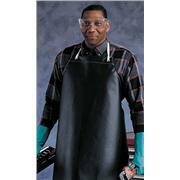 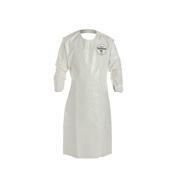 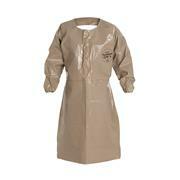 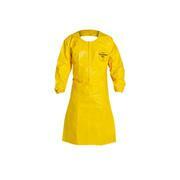 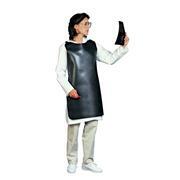 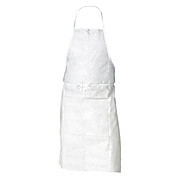 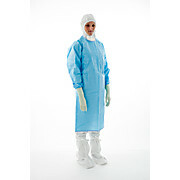 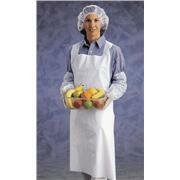 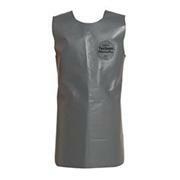 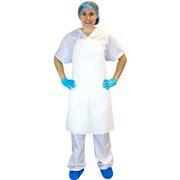 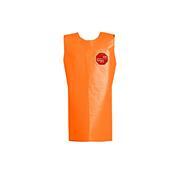 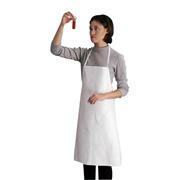 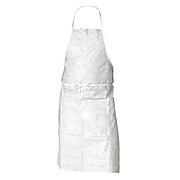 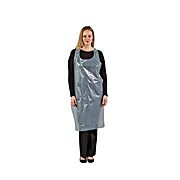 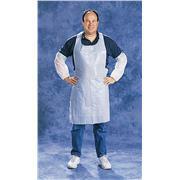 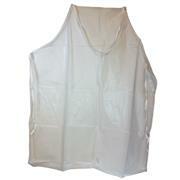 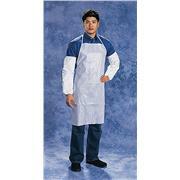 Translucent latex free vinyl aprons are a great way to protect your clothes from messy labs. 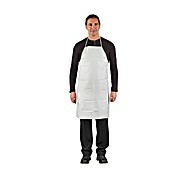 The apron is reinforced at points of strain giving it a sturdy construction. 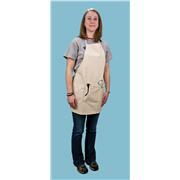 Providing protection against a range of chemotherapy drugs, the BioClean-C™ Chemotherapy Protective Apron is manufactured from lightweight low-linting CleanTough™ blue material, and features tie tapes at the rear and an adjustable neck fastening for easy donning and comfort. 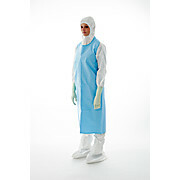 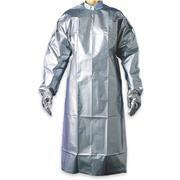 FEATURES: Ties in back Packed in dispenser carton Breathable white polyethylene material Passes NFPA 99 criteria for antistatic materials 28 inches x 46 inches in size TYPICAL USES: Laboratories; Decontamination modesty garment; Remediation; Pesticides; Heavy dust environments. 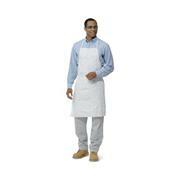 PVC translucent aprons are 0.1mm (3.937mil) thick. 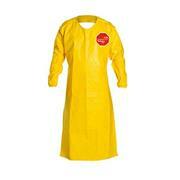 Resistant to lab chemicals, acids, bases, oil and grease. 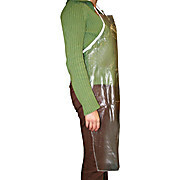 Ties at the waist and neck. 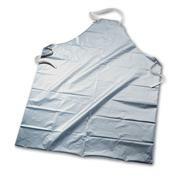 Reinforced with cloth tape and can easily refold for storage.